Adam Vaught defends attorneys and law firms in a variety of claims including malpractice, breach of fiduciary duty, fraud, conspiracy, conversion, defamation, as well as in disciplinary actions and regulatory issues. Additionally, he handles claims for clients that involve issues regarding government and politics, including representing state and local officials in claims against them in their public and private capacities. Adam also has a substantial general appellate practice. The Chicago Daily Law Bulletin described Adam as "an astute advocate" in their 2016 edition of the Forty Illinois Lawyers Under 40 to Watch. A few of his successes include prevailing in the Illinois Supreme Court after arguing a ballot initiative regarding a proposed amendment to the Illinois Constitution was invalid; persuading the Illinois Appellate Court to hold that the litigation privilege not only protects statements made by lawyers in litigation from civil claims, but protects conduct in litigation as well; and securing published opinions from the Appellate Court on the evidence required to establish causation in transactional legal malpractice cases. Additionally, Adam was the lead author of the American Bar Association's Amicus Curiae Brief filed in the United States Supreme Court in Williams-Yulee v. the Florida Bar, 575 US __ (2015). The brief was cited in the majority opinion and one dissenting opinion. Prior to joining the firm, Adam served as a law clerk to Illinois Supreme Court Justice Thomas L. Kilbride and then as Counselor to the Chief Justice during Justice Kilbride's tenure as Illinois' 118th Chief Justice. Justice Kilbride has said Adam was an "invaluable counselor," noting his many ideas to "better the legal profession." While working for Chief Justice Kilbride, Adam was an integral part of the formation of the Illinois Supreme Court Access to Justice Commission, the creation of new standards and principles for e-filing in Illinois Courts, a new state cameras-in-the-courtroom policy, passage of the Illinois Access to Justice Act, and working with the legislature to restore full funding to the judicial branch budget. An active member in the legal community, Adam was appointed by the Illinois Supreme Court to the Illinois Judicial Conference. The conference is the strategic planning body for the Illinois judiciary. 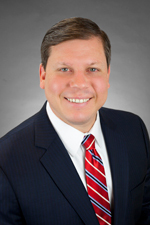 Adam was selected as one of three practicing attorney members to the 29 member body. He was also named by the Illinois Supreme Court to the Illinois Statutory Court Fee Task Force that presented a proposed overhaul to the state's civil fee and criminal fee and fine structure that became law in 2018. He was a working group member with the Chicago Police Accountability Task Force. Adam has lectured at the University of Illinois College of Law and Northern Illinois University College of Law. Hinshaw's Adam Vaught Named to Benchmark Litigation "40 and Under Hot List"